Last night the New York Times and Washington Post separately reported that, according to members of Robert Mueller’s team, the Mueller report is ugly for Trump when it comes to obstruction of justice, and Attorney General William Barr is misrepresenting what’s in the report. Mueller’s team also revealed that it provided Barr with publicly releasable summaries, which he quashed in favor of his own illegitimate four page “summary.” Now it’s gotten even uglier. This morning NBC News reported that according to Mueller’s team, the report paints a “picture of a campaign whose members were manipulated by a sophisticated Russian intelligence operation.” There are two kinds of manipulation in these circumstances: witting and unwitting. Does anyone really think Mueller concluded that when Donald Trump Jr knowingly met with a Russian government representative at Trump Tower with the promise of dirt on Hillary Clinton, he was being unwittingly manipulated? Same goes for when Paul Manafort conspired with Konstantin Kilimnik, whom everyone knows is a former Russian spy, and who is widely suspected of still being one. So yeah, the Mueller report must have concluded that the Trump campaign knowingly allowed itself to be manipulated by the Russian government. There’s a word for that: collusion. Even if Mueller concluded that this collusion didn’t rise to the level of a criminal conspiracy – which we can no longer assume is the case, now that it’s been proven Barr is lying about the report in general – this still means “yes collusion.” It gets worse. Now that his attempted coverup of the Mueller report is falling apart, William Barr is clearly in damage control mode. 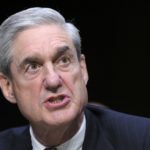 He had the Department of Justice release a statement today which claimed that every page of the Mueller report was marked with a warning that it may contain protected information that can’t be released. This is apparently Barr’s excuse for not releasing Mueller’s summaries. So we’re supposed to believe that Mueller was stupid enough to create summaries intended for public release, and then mark them as not being for release? Barr is on the ropes.